CAPE CANAVERAL, Florida -- There will be a Full Moon tonight beginning with a moonrise over the Atlantic Ocean on Florida's east coast just before 9 p.m. Eastern Daylight Time on Friday, May 24, 2013. This Super Moon will be 100% full at 12:25 a.m. before it sets at 6:51 a.m. the following Saturday morning. The 2013 Super Moon will be around 17,000 miles closer than usual to Earth. 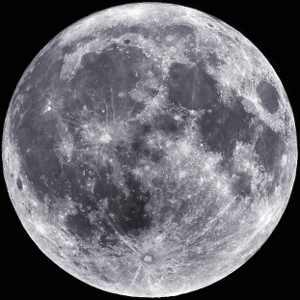 Besides being treated to a Super Moon, there will also be a penumbral lunar eclipse tonight at 12:10 a.m. Eastern Daylight Time. Penumbral lunar eclipses are not a spectacular as the bright copper-red total eclipses. But there is a noticeable darkening of the moon with the slight chance of a darker brown-red hue. For those planning a stroll along the beach on the U.S. East Coast to watch the lunar eclipse, this Full Moon brings along with it a 4-foot plus Atlantic Ocean high tide that will occur around 8:10 p.m. and a very low tide at 2:09 a.m., with a few minutes of variation depending on your exact location.